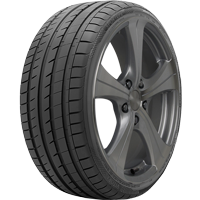 Premium asymmetric high performance tyre designed for those who live safely in the fast lane. Asymmetrical tread design for high performance capabilities. Outstanding wet & dry traction. Inside shoulder with high void ratio design provides excellent water dispersion. Optimised tread block and pitch sequence offers a quiet, comfortable ride. 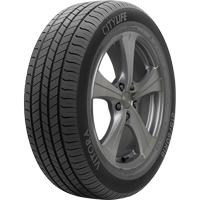 Premium passenger touring tyre – perfect for those who live the city lifestyle. Superior tread pattern designed for a quiet, smooth ride. Specially formulated compound optimised for long wear. High void circumferential grooves offer excellent hydroplaning resistance. Jointless spiral wound cap ply maximises ride refinement and durability. 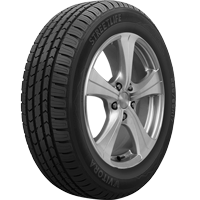 The suburban family-friendly tyre for those who enjoy a quiet, comfortable lifestyle. Four circumferential grooves ensure excellent water dispersion and limit aquaplaning. Solid centre rib for high speed stability and optimal ride comfort. Frequent and variable sipes in the tread design ensure a quiet and comfortable ride. Flat surface contact area ensures even treadwear and prolonged tyre life. Premium commercial / light-truck tyre built to make work life just a bit more bearable. Continuous shoulder ribs provide smooth, even treadwear and increased tread life. Premium rubber compound resists cuts, punctures and abrasions. 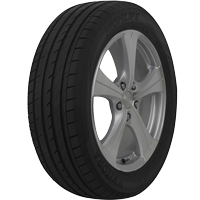 Premium SUV tyre designed for superior performance. If you like the high life, then this one’s for you. Excellent wet braking and cornering. Optimal comfort and treadwear levels. Excellent rim protection from curb and gutter scrapes. Designed to provide safety, driver satisfaction and exceptional value for money. Premium 4×4 All-Terrain which ensures safety on and off the road – perfect for the country lifestyle. 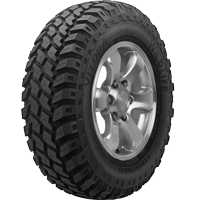 Block tread design ensures outstanding off-road traction. Open shoulder grooves for optimal water dispersion, and excellent traction and stability in wet conditions. Wide tread footprint ensures safer braking and even treadwear. Deep tread grooves ensure superior self-cleaning ability and prolonged tyre life. Outstanding traction and optimised durability to ensure even the wildest off-road tracks are mastered with ease. Enhanced shoulder construction which deflects and resists impact damage. 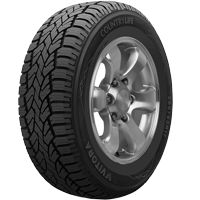 Deep tread design ensures prolonged tyre life and maximises grip capability in the toughest and muddiest conditions. Multi-stage offset shoulder lugs for reduced highway noise, excellent shoulder strength and self-cleaning ability. Advanced sipe design ensures superb off and on-road traction. Premium heavy duty carcass construction for longevity and damage resistance.